The book is a journey through human progress focusing on the construct of psychologically safe workplaces which has re-emerged recently. The book is a journey through human progress focusing on the construct of psychologically safe workplaces which has re-emerged recently. It looks as far back as the Ancient Egyptians and Greeks, highlighting the construct of utopia as applied to the world of work. It explores where we are in the world of work and how humans are treated at work. It underlines how various advances through industrial, and much more recently technological, revolutions have changed the nature of work and society. It explores if a ‘utopic’ ideal of work has ever existed or can exist. As a monograph, it will engage the readers’ interest with its story and intention. Dr Georgios P. Piperopoulos studied sociology and psychology at American, German and Austrian Universities receiving his Bachelor’s, Master’s and Ph.D. degrees; taught at several American, European and Greek Universities at both undergraduate and postgraduate levels before retiring from his professorial chair at the Department of Business Administration, The University of Macedonia, Thessaloniki, Greece. Dr Piperopoulos is currently Visiting Professor at Newcastle Business School, Faculty of Business and Law, Northumbria University, Newcastle, UK. He was Visiting Professor at Newcastle University Business School, U.K. from 8/2013 to 8/2016. He has held a variety of managerial posts in private enterprises and public social services organizations in the USA and Europe. He has developed and taught Leadership, Communication, Stress Management and Psychological Operations courses at the Supreme Joint War College of the Hellenic Armed Forces (Army, Navy, Air force), the Army staff training school, the Hellenic Police Continuing Education Centre and at the Greek branch of the United Nations Peace Serving Operations Training Centre. Professor Piperopoulos has published several textbooks and many popular books in Greek and English and authored hundreds of articles and editorials in leading Greek Newspapers and magazines. He has been a frequent guest on Greek TV and radio programs as a commentator and, for several years, presented his own show titled ‘I Communicate Therefore I am’ in Greek National and Regional TV channels and Radio stations. He has delivered hundreds of public lectures to groups in Greece, Europe and the USA. Control Your Stress and Manage Your Time! His daughter Dr Natasha (Anastasia) Piperopoulou lives with her son in Athens and is employed as psychologist in a public school for training and educating adolescents with special needs. His son Dr Panagiotis (Panos) Piperopoulos is Associate Professor at Royal Melbourne Institute of Technology (RMIT). For the romantics who still cherish such a myth this book will serve as a much needed cold shower! To those who propagate such concepts will come as a warning that even a best clad myth van be denuded! Well doing Union heads should read it carefully! Refreshingly provocative, pleasant narrative and challenging monograph. A smooth running narrative, an historical review which fliws asv pleasant reading but between the lunes emerge creatively provocative arguments on the historical and currently reviving myths of psychologically safe workplaces for the average working men and women! Not a 4 or 3 star journal text but most certainly a 5 star monograph as a modern, provocative narrative on an archaic subject namely the relationship between employers and employees. Well done! A well written, inviting journey in the history of employers and employees from the ancient times iof building the pyramids and the acropolis to the modern era of globally operating multinationals. The first part of the title is romantically provocative; the second part realistically challenging! The book is a pragmatic, useful monograph worth reading. The author denudes some popular myths and pays proper attention to the Japanese concept of "lifetime employment" not particularly welcomed by global "locust type" corporate giants. Fascinating approach to a perpetually misunderstood subject. Work safety in the public and especially the private sector is desirable but also elusive. The book will provoke, challenge and put in their proper place those who thrive perpetuating the old Utopia. Provocative narrative, challenging conceptualization poignant thesis in a modern, well documented and broad in perspective monograph. Well done. Well perceived, provocative and enlightening narrative. Surely the evolution of work is not linear but the book poses a challenging, modern thesis. Nostalgic of the obsolete, betrayed call "workers of the world unite?" and ready to be lured by the much promising new call "find a psychologically safe workplace?". Stop and read this monograph to understand how utopias are continuously and skillfully updates! Truly a nook worth reading. Written by an academic who obviously has not lost touch with the realities facing working men and vwomen. Cheers! As a realist, not negativist, by nature combined with work experience I would sat do not get lured by the utopian promise of psychologically safe workplaces. In a world wherever are longer persons but 'human resources' governed by "locust type" corporations and apathetic Unionists show me some examples and I will show you myriads of oases in Sahara. As a working woman I would strongly suggest to working women and working men to download and read this book. It delivers a powerful well supported message! Reading through the lines I discern a romantic attitude in Professor Piperopoulos' narrative despite his half century experiences in Business Schools where management students learn tonaim for profit maximization techniques! Improved profits benefit corporation stakeholders and assure managers bonuses! It is a book worth reading. In my humble opinion a truly remarkable book which comes to fill in many voids in the history of employer employees relations. Take a close look at the chapter on Unions and the review of Business Schools. An interesting monograph which raises a few note pertinent questions while answering directly and indirectly several others. Professor Piperopoulos with this monograph makes a major contribution to modern employee/employer relations and convincingly sets the stage for a much needed and, strangely enough, neglected dialogue. Laconically stated this is a truly fascinating monograph. You will be generously rewarded for the timebyou will invest in reading it! When we are told that 26 individuals have personal wealth which equals that of three billion other humans Capitalism an Free Economy become real threats to workers! And then when we read in this book about the much promising and never delivering historical facts about the Bolsheviks in the collapsed USSR and look at the modern socialist/communist utopias of Madoro'Venezuela and Castro's Cuba the threat to workers becomes unmanageable emotionally. Read this book. With a plethora of scary news concerning store closures and massive redundancies in most business fields securing a psychologically safe workplace is indeed a...Utopia! The book is provocative and challenging and while answering many questions raises a series of new and disturbing ones on the future of employment for men and women...Not robots! Provocative, challenging and creatively innovative narrative knocking off past, present and future myths on paradise promised to the average working men and women. Enlightening and constructive views on Business Schhol education and programs. Simply an excellent historical assessment of the difficult relations between employers and employees. Excellent criticism of Bolshevik USSR myths and creative criticism of globalized capitalism. Genuinely provocative thesis challenging stereotypes and myths and skillfully setting the stage for a much needed honest dialogue between employers and employees and some comfortably abstaining Union Leaders in view of potentially cataclysmic changes in the labor market. A truly challenging monograph with a provocative well documented narrative denuding some well protected myths. The book is well structured and thoroughly documented which makes its narrative acceptable although it is provocatively challenging and 'scary' in its epilogue on the coming threat of AI endowed robots. A provocative monograph which belongs to the bibliography of University HR modules and the bookcases (laptops, computers and ipads) of HR managers before they become casualties of the trend to replace human employees with robots. I appreciated the chapter on Business Schools and the author's play with the Greek concepts of Utopia, Eutopia and Dystopia... Challenging contemporary narrative with adequate historical references. A truly challenging journey through human history focusing on crucial issues of the eternal relationships of employers and employees. As a middle level manager at a tourist organization I can see both the benefits of creating a psychologically safe workplace evironment and the precarious nature of such a reality when financial pressures demand redundancies. Professor Piperopoulos as an academic and a practitioner has approached his subject with due scholastic respect and philosophical contempletion. Psychologically safe workplace construct, unfortunately, has often been abused for the benefit of owners, employers and top managers who reap the benefits of employees who are loyal and offer their best to the companies they work for. It is a interesting and worthwhile book that will create a much needed dialogue as we witness in the last 3 decades the collapse of USSR and the development of locust type behaviors on the part of many multinationals. An impressive monograph challenging several working men and women related myths and denuding some classic management claims. The paradise promised to workers by Bolsheviks ended up as a caricature for them and a blessing for Communist Party leaders. Is there a hope for true psychologically safe workplaces? My personal opinion is simply NO! A fascinating journey in the history of working conditions of men and women employees rendered in an iconoclastic monograph as provocative narrative. A challenging view of Business Schools. If there will ever be 'an eutopia where employers and employees will not coexist but will thrive together' all working men and women across the Globe will have a chance to 'taste' work-paradise. Until that day comes you can comfortably read and enjoy this realistic book countless times. Written by an academic/practitioner who knows his stuff, enriched by a scent of neo-Marxism cauterizing the Bolshevik applications of pseudo-Marxism this is a really fascinating monograph worth reading. Provocative narrative on a perpetually challenging management theme. Well-written and supported. A provocative examination of the historical journey of employer-employees interactions and the role of the intermediate actors known as managers. Professor Piperopoulos denudes some well established myths and brings a fresh breath of objectivity in what has been a biased subjective interpretation on employee loyalty and creativity. A truly remarkable book on the relationships of employers and employees throughout history. Here is a book that will stir up a new dialogue on work conditions, the human predicament of employees and the profit motive. Excellent bibliography. A remarkable 'reality therapy' book for every working man and woman dreaming of a psychologically safe workplace. It is worth every minute spend reading it! Professor Piperopoulos has literally 'hit the nail on the head' in this notable monograph. To denude a royally clad myth is not an easy task but the narrative of this book does exactly that. Read it! This book travels the reader through history in respect to the socio-psychological aspect of workplaces and the human relations at work from ancient Egypt and Greece to modern times, up to 2018, the era of robotics and artificial intelligence, covering the literature of management theory and strategy globally, in a pleasant and concise way. We loved the “prolegomena ‘ and “epilegomena” both in text as well as in the terms used in the richest language of all centuries, the Greek language, the mother language of our civilization. With so many employees becoming redundant (which means 'fired') day after day by SME's as well as large corporations the concept serving as the first part of the book's title sounds as a...blessing! The book presents a provocative narrative tendering it as worthwhile reading. Where management introduces the construct the benefits it secures are worth the risks! But as the introduction of Robots increases dramatically thesycgologically safe workplace ends up as a myth and a utopia! 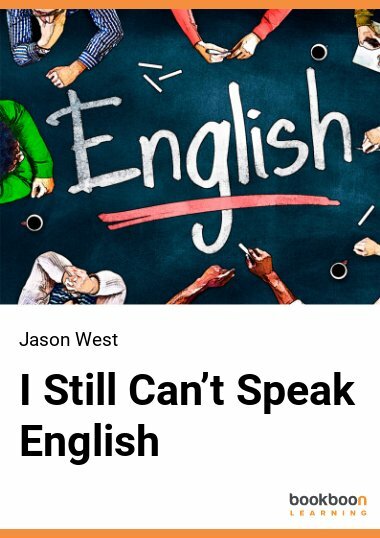 Very interesting narrative! This is a monograph deserving the attention of each and every working man and woman as well as those in charge of HRM departments. Absorbing and informative reading. Informative, enlightening contemporary. A unique edition to HR history, practices and theories. An innovative narrative on employers and employees offering a challenging and provocative review of motivation theories and employee dedication to their employers. Answers some unanswered a questions be mile raising more that need answers such as the structure and functions of 13,000 Business Schools! A book useful for business school students as it wiil provide them with a more humane attitude towards employees. Useful for working men and women below the supervisor/middle manager levels. Useful for the interested members of the general public for its wealth of information on management theories and historical facts. Thoroughly enjoyable. Bypass the old myth "that you can't judge a book by its cover"! Professor Piperopoulos has written a book that ends this one and a number of other myths related to working men and women and 'good hearted' employers. Fascinating narrative. A well written provocative narrative of the journey of working men and women through history. Based on his experiences as an academic/practitioner the author has composed a significant contribution to the existing binliography. His presentation of the Bolshevic revolutions and the seven decades of the existence of USSR should be carefully read as should the chapter on the birth and proliferation of Business Schools across the globe. The construct would be a real blessing for working men and women but the way things are going (14 stores shut down everyday in the UK, medium and large enterprises are making thousands of employees redundant across the EU) so it looks Notre as a Utopia than a feasible reality. And with robots of new generations enriched with brilliant AI surpassing a single employee's talents the prospects resemble motte a nightmare than a sweet dream! Read the book carefully and as other reviews have noted search "between the lines". A brilliant work by an experienced academic who has obviously gained immense volume of work experience as a practitioner. It touches upon some issues usually bypassed by professors of Business Schools who choose to instruct their students/future managers how to entlarge corporate profits and claim good chunks of bonuses for themselves. In the psychologically safe workplace utopia women have been and continue to be left far behind men coworkers. An excellent monograph on the history of work and the myths related to working men and women and their plights. Indeed if psychological safety is a utopia in the western industrialized countries it is a 'fairy tale' in the economies of developing nations of the third world, practically a 'dream which never will come ttue'. For those of us who attended a Business Administration degree a most welcome, nostalgic revisit to familiar concepts and theories. I think it should be on the bibliography of most HR modules. For members of the general interested public a rich source of useful information! Professor Georgios Piperopoulos has produced a very interesting monograph. I would say, not ironically but as a compliment, that this is a 'dragon killer' for all utopian and unrealistic myths on employees welfare overriding employers welfare. Refreshing reading. Eleni Dagla, B.Sc (hons), M.A., M.Sc. A modern, powerful, provocative and well documented contemporary defence of the too often neglected rights and hastily overlooked plights of men and women employees across the globe. Professor Piperopoulos’ new book, a monograph, makes a good argument for the immense benefits to employers emerging from psychologically safe work environments while it simultaneously underlines the fact that when such environments are embedded in corporate cultures the benefits for the workers range from loosely defined to non-existing rendering the relevant concept as a utopia rather than a (desirable) reality. Lively, easy to read and comprehend narrative. Well-structured, rich in psychological management theories and entertaining reading. If you live in a safe or in a cut throat competitive work environment is irrelevant. Read this book and you will learn a lot. Surely a psychologically safe wotkplace would be an oasis in the current competitive world of business. But it looks more as a utopia than a reality which would benefit employers and employees. This is an eye opener of a book. Do read it! A fascinating monograph which will reward you fot t ime invested in reading it and will doubly reward those who will spend the time required to read between the lines of the challenging and provocative narrative. To put it laconically a really interesting book which answers difficult questions while questioning some inadequately answered current questions! Professor Piperopoulos has written a book which will ultimately stirup a much needed dialogue on men and women who are no longer persons as they have become 'resources' soon to be displaced by 'non-persons' known as... robots! Here is an interesting and challenging monograph which should be read not only by university students and working men and women but primarily by Union Leaders who refuse to see the unstoppable downgrading of Unionism in 21st century global realities. Well done by an academic/practitioner who obviously knows his stuf and has the courage and integrity to speak publicly! A Psychologically safe workplace would be a blessing if it could exist as a reality and not a pretentious facade. Some would think that public employment is an indirect semblance of work safety but that is not as solid as it used to be as Redundancies have become more commonplace on local, regional and national levels across the globe. The nook is very interesting AND simultaneously very provocative. I suggest it unreservedly irrespective of your employment affiliation in the public or the private sector! A refreshing overview of labor relations history, false promises and employer skewed theoretical schemes. Fascinating monograph leading us from the pyramids of Egypt to the brave new world of 'charismatically' skillful robots replacing humans massively in the not so distant future. Excellent reading for your next transatlantic, transpacific or intra European plane trip. Professor Piperopoulos has written a book that should be read by everybody who is an employee and those employers who comfortably forget their respect for their employees. I would also suggest it to Board members of many organizations who easily bypass the reality that their employees are the ones who make them feel proud bring in charge of their organizations. Useful and contemporary. As an academic and practitioner obviously the author has gained valuable experiences sitting at both sides of production, services and administration settings. His theses atr a bit provocative but his arguments well substantiated and his bibliography massive. A book worthy of the attention of employers and employees, practioners and academics. Rewarding journey from ancient times to the 21st century. This book should be considered as an effort to introduce to a large number of students and readers in general tools which will be valuable to them in the practical business of their subject. It deserves a wide welcome. Another excellent, worth reading book from Professor Piperopoulos!!! Congratulations Professor, it was an honor to have been your student! A really interesting book covering the development of the continuing strangle between employer & employees in which employees give their best but are not properly rewarded. Excellent historical overview of the classic antagonism between employers and employees with good bibliographical support. The author dedicated his book to a EUTOPIA where employers and employees will thrive together but this sounds fairly utopian especially in view of a developing DYSTOPIA where hundreds of millions of human will be replaced NY robots... A counter argument could be that they can be retrained but do Nations have the resources and do middle aged unemployed have the motivation and stamina to acquire new skills? Professor Piperopoulos has created a provocative monograph worth reading! Professor Piperopoulos has produced an indeed iconoclastic monograph which comes to express the agonies of myriads of employees across the globe who feel unsafe and insecure in their jobs. Undeniably creating a psychologically safe culture in corporations and organizations will bring forth great benefits as employees will give their best, loyalty and productivity will increase and so will the profits of corporations and the social esteem of organizations along with the various forms of ‘bonus’ to management ‘golden boys’. But the classic question remains intact: to what extent do employees who give their best share in corporate profits? The agonies relating to job security have not gone away but have been intensified as employees who used to be ‘persons’ overseen by ‘personnel managers and directors’ are now ‘human resources’ overseen by ’human resources managers and directors’ and they are nowadays not ‘fired’ but become ‘redundant’… The reality seems to become even harder on job security as IT, AI and robots enter in masses the production and services sectors of global economies. Written by a practitioner/academic this book should be carefully read and indeed should serve as the epitome of a much needed, honest and humane dialogue between employers and employees; it should be part of many modules in the 13,000 Business Schools operating across the Globe. This new book by Dr. G. Piperopoulos is a valuable resource for management practitioners interested in the various aspects of a psychologically healthy workplace. It offers practical guidance for teams and organizations who are serious about success in the modern economy. With so much riding on innovation and creativity it is essential to attract and retain quality talent—but what good is talent if employees are afraid to express their opinion in an open way without worrying about unpleasant consequences? The book clearly states that the traditional corporate culture of just “fitting in” can spell disaster in today’s modern economies. Corporate success requires a continuous influx of new ideas, new challenges, and critical thought. The interpersonal business and organization climate must not suppress and silence employees but it must create a culture that fosters creativity and autonomy of employees and encourages involvement in organizational decision-making which is so important for creative thinking and new ideas. Many informative examples of effective project management spanning from the Pharaohs and the ancient Greeks all the way to the current and near future AI development and its effects on future human employment and labor markets are given throughout the book. Explanations and ideas provide a clear path to constant learning and healthy corporate innovation which is necessary in today’s business environment. The link between psychological safety and high performance is clearly stated as well as the need to nurture and create a culture where it is “psychologically safe” to express new ideas openly. This book provides a framework for establishing psychological safety in today’s business, teams and organizations. Excellent work and highly recommended! Obviously no ifs and buts but honest challenges to well entrenched misconceptions of the antagonistic relations between employers and employees. Indeed psychologically safe work culture is desirable and will ensure a plethora of benefits but the hatrsh question posed by the author us simply "for who". If employees will shatre the benefits go on and create such places and such work culture. If not why bother? Simply a fascinating contemporary monograph. Psychologically safe workplaces for the benefit of employees and not solely the employers has been a Utopia since the dawn of history. Obviously an optimistic statement from professor Piperopoulos who dedicates his book to a Eutopia where employers and employees thrive together. Should we be preparing for a future Dystopia where humans will be massively replaced by robots? Are out politicians, financiers and academics ready for such a prospect or will modern forms of psychologically safe workplaces serve as...placebos? Provocative book! As a small entrepreneur in the education field, located in Germany and providing remedial support services to high school students as well as foreign language classes with my small staff I confess that I was impressed by this book written by professor Piperopoulos an academic with rich practitioner experiences in upper management as well as in consulting to national and multinational corporations and organizations. Some of the book’s theses are indeed bold and provocative but the author substantiates them properly. His historic overview of the wonders of the Industrial revolution in 19th century England and of the roaring 20’s in America is refreshing and, considering Unionism and Unions, should serve as an authenticated basis in assessing the conditions of working people across the globe then and now. Certainly things will become challenging for the average employees in many Nations as the massive introduction of robots endowed with superior IT and AI skills in productions will end up displaying immense numbers of people and thus necessitating their re-training in modern skills. In my small company I have discovered after 3 decades of operation that people appreciate a psychologically safe environment and work culture but I cannot hurriedly overlook what the author describes as ‘locust’ - Anglo/US types of corporations who simply aim to gain as much profits in as little time as possible overlooking their operations’ impact on human and environmental resources. 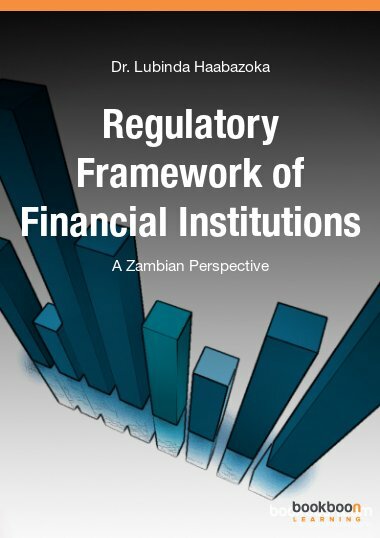 It is a notable addition to relevant bibliography and should be read by university students and employers as owners and managers of corporations and organizations. As an academic in the tertiary level of education I have enjoyed reading the new book written by a now retired ex-colleague at the University of Macedonia, Greece. Professor Piperopoulos was always a forward looking academic daring to confront issues which some others would prefer to let lay dormant. In this book he confronts in a bold and provocative manner the perennial issue of the antagonism between employers and employees which gave rise to Unionism during the Industrial Revolution a couple of centuries ago. The book’s challenging and provocative theses are well documented by proper bibliographical references. The epilogue concentrating on the rapidly rising numbers of high tech, IT and AI enriched robots in production and services which by 2030 may lead some 400 to 800 employees to ‘redundancies’ raises issues which should be immediately dealt with by Governments across the globe. Employees replaced by robots will need retraining and acquisition of new skills or else societies will be faced with serious challenges and potential upheavals. It is an iconoclastic monograph and a worthy edition to the existing bibliography for Business Administration students, practitioners and the interested public at large. An outstanding historical journey into the relationships of employers and employees, of management and unions, of gteediess and profits without proper respect for humans and the environment. A nook that will stir up spirits. Well done and perhaps prophetic on the threats posed nyrobots, robotics, ITand AI for average employees. Excellent book for all the workplace players. I was suprised by the details the writer develops about the motives of the job that are critical for the future of the labor market. Ioannis Daglas, BSC (hons), MA. As a graduate in Business Administration from the University of Macedonia, Thessaloniki, Greece I have known professor Piperopoulos and I am familiar with his iconoclastic style in viewing both the academic and the practitioner sides of studying and exercising management; after half a century of being an academic and a practitioner in management I can readily see the propriety of his arguments and their validity. Holding a Master’s degree in Management from a recognized UK University and now operating as the owner-manager of a micro enterprise I can appreciate the fact that little of what we learn in both undergraduate and post graduate University programs prepares us to enter the real world of Business enterprise. This book is destined to become a classic in starting a much needed dialogue on the programs and the processes of Business Schools operating across the globe and, simultaneously, on the need to ensure that humans dislocated in the next few years by robots richly endowed with advanced IT and AI will not be neglected. I wholeheartedly do recommend this book to university students and fellow graduates working in some corporate or organizational environment or running their own show. As a journalist I have had the pleasure of discussing on the air a number of subjects relating to the sociology and psychology of Business enterprises and organizations providing various services. As a guest professor Piperopoulos always distinguished himself not only by presenting bold views and provocative perspectives but also by being able to look at and bring forth to open view hidden sides of the difficulties of being an employer and an employee, of living on the edge of antagonistic relationships characterized by the ‘profit motive’. 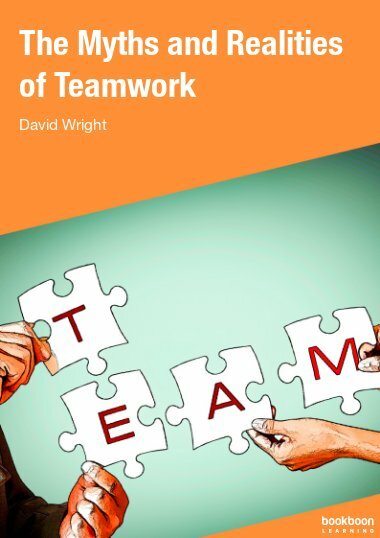 In this book the author brings forth many surreptitiously ‘overlooked’ issues on raising employee motivation (and increasing profits) but ‘neglecting’ to properly reimburse them for their contributions. Professor Piperopoulos answers many mute questions and raises as many in his iconoclastic book. I would recommend it as I feel that it will help start a much needed debate as the problems of massive introduction of superior technological products (read, robots) will make hundreds of millions of employees redundant forcing Nations across the globe to provide them with retraining. As a researcher and holder of a PhD in Human Resource Management and Organisational Behaviour, I cannot agree more with the statement that Human Resources is the key towards creating a sustainable competitive advantage. Indeed, investing in employees’ skills, knowledge and abilities will ultimately lead to employees’ enhanced productivity, and thus, to organisational performance. Taking this argument into consideration, the specific book provides an in depth understanding of how management strategies and techniques can motivate employees’ behaviour in ‘giving their best selves’ to their companies, or in other words, how management can create the so-called organisational citizenship behaviour of its employees. Additionally, this book underscores the significant role that a psychologically safe workplace has to play not only in increasing employees' productivity, but also in creating a resilient workforce that sustains through time. The latter contributes to the competitiveness and survival of organisations. In a nutshell, I am quite positive that this book will be extremely useful to both employees and employers. Excellent piece of work! I believe, and surely I am not alone, that when employers will be able to provide their employees with a work environment where psychological safety is guaranteed the benefits they will collect will be immense. Humans are not lazy and when properly motivated will give their best making work a meaningful, pleasant, fun-filled engagement. I also believe that despite all honest efforts many large scale corporations and organizations will, unfortunately, sacrifice the psychological safe environments they have created if the need for 'redundancies' (avoiding the term 'firings') becomes a reality. Professor Piperopoulos has provided both employers and employees, as well as University and College students and members of the broad interested public with a provocative and fascinating monograph on the evolution of work and working conditions. Here is a book that deserves our attention and will probably begin a necessary debate. I read the press release announcing the publication of this book in one of my favourite Greek blogs and I was curious to downloaded and read it since the author, before his recent retirement, was a well-known professor and Chairman of the department of Business administration of the University of Macedonia in Thessaloniki, Greece where I am now finishing my studies leading to the Bachelor’s degree. The book is full of information relating to my studies and the author has provided an extensive bibliography supporting his arguments. I found it to be provocative in its thesis relating to the ‘antagonism’ between employers and employees in corporations and organizations where the supreme value is ‘profit’. I think the discussion on the history and the global prospects of Business Schools will generate a vivid dialogue in many countries and the prospects of humans ultimately being replaced by robots will bring the chills to the book’s readers. I believe that the book should be read not just by us as students in management and other specialities of the business administration fields but by our professors and also by managers and owners of corporations and members of Board Directors hoping to bring into focus the value of human beings and their role in enterprises and organizations. A book written using the past experience for the future best practices. Reading the book, cannot leave you without the satisfaction that despite you feel aware of most of its contents, they are all presented in such a way and language that makes you to not want stop reading. Probably one of the most important aspects of the book is its analysis about the human behaviour in the modern businesses environment. An aspect that generally is missing. Its a real privilege to follow a long standing expert while discussing issues like business ethics, personal accountability, corporate responsibility, etc. Excellent, highly recommended. 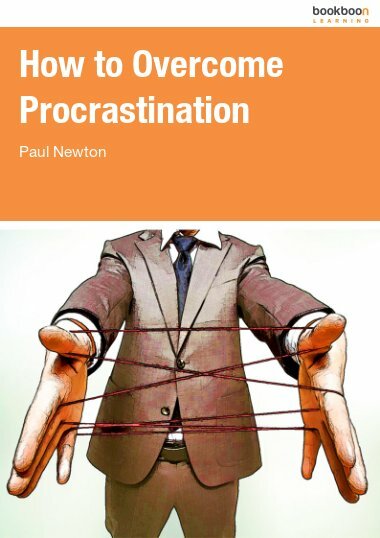 As a University student majoring in Business Administration I found this book, written by a well-known Greek Professor of management, to be extremely informative and challenging in presenting the evolution of working conditions which have influenced not only the lives of individual employees but also the structures of societies. The book will start a dialogue especially as it presents to future large scale entrance of Robots loaded with Artificial Intelligence into the work environments replacing up to 800 million employees worldwide. The ethical considerations relating to brutal 'profit-not people' orientation are clearly presented in this book and the extensive bibliography opens up a large window for obtaining useful information. I have worked with managers who were able to motivate us as employees and 'get the best out of us' by creating feelings of psychological safety. This is a reality much needed but it does not guarantee job security as decisions for 'redundancies' are placed in higher corporate levels. This book is well documented and should gain a proper place in the relevant bibliography of Human Resources management. This is a book that will stir-up a series of conversations as it takes a daring and bold stance at a number of issues relating to employer-employee relations, motivation, loyalty, improved productivity and profits and 'forgotten promises'. Professor Piperopoulos presents a convincing and provocative thesis in a monograph which should be read by students, practicing managers, corporate stakeholders and organization Board members as we progress rapidly to worki environments where robots will be working side-by-side with humans in numbers never encountered before. Here is a book that will stir up a new dialogue on work conditions, the human predicament of employees and the eternal insatiable quest for profits. The author does a good job examining the past, present and future of business schools. Great bibliography. A really fascinating journey comparing and contrasting capitalism and socialism with workers caught in between and crashed under the profit motive. Things will worsen as IT and AI create unbelievably smart, efficient and not demanding robots. All corporate managers & organizational board members through their human resource departments usually aim to improve employee loyalty, commitment & creativity which ultimately improve productivity, profits & organizational image. Surely the creation of work environments interlined by psychological safety is a desirable objective culminating in improved balance sheets. Professor Piperopoulos with this book will upset some delighted in their serenity, will challenge some who are innovative thinkers & is adding a much needed new approach to preparing managers in the world's 13000 business administration schools. Provocative in it's thesis supported by a rich bibliography. Worthwhile reading! 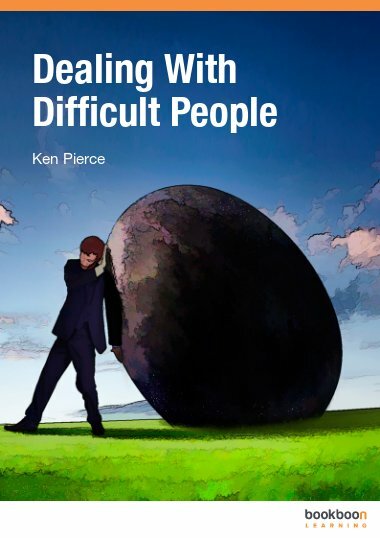 Recalling my experiences from several workplaces and supervisors I will clearly state that this book will be useful to both employers and employees. 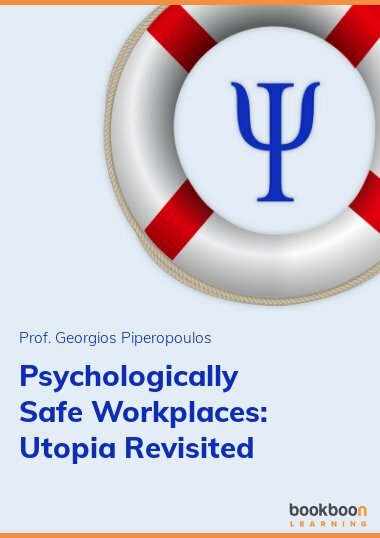 Professor Piperopoulos presents a strong case for avoiding the utopia of 'frail psychological safe workplaces' which disappear as soon as the company stock looses ground at its Stock Exchange or profits fall. The concept can go into synergy in corporations operating with the Rhineland philosophy but will certainly prove fake in those operating with Anglo/US style.The book will reward its readers for time invested. Professor Piperopoulos, has produced a provocative, innovative and iconoclastic monograph, well supported by extensive bibliography. As a practitioner, I feel that this book, belongs to the desktops, lptops and ipad of corporate managers and organisation boards! Here is a book that delivers its promise written by an academic practitioner who knows his stuff. Iconoclastic indeed and should be read by students and managers as well as corporate owners and Board Directors. Let us hope that the day will come when employers and employees will THRIVE together. The ideas of the writer are always radical and ahead of the events. In this book he managed to comprehend the fundamental values of a healthy work environment with the current contemporary points and so to draw conclusions and suggestions for the working environment we live in. His book is beyond any expectation readily compelling and useful to anyone involved in the workplace. I did not expect anything different from the wonderful Professor and Writer George Piperopoulos.